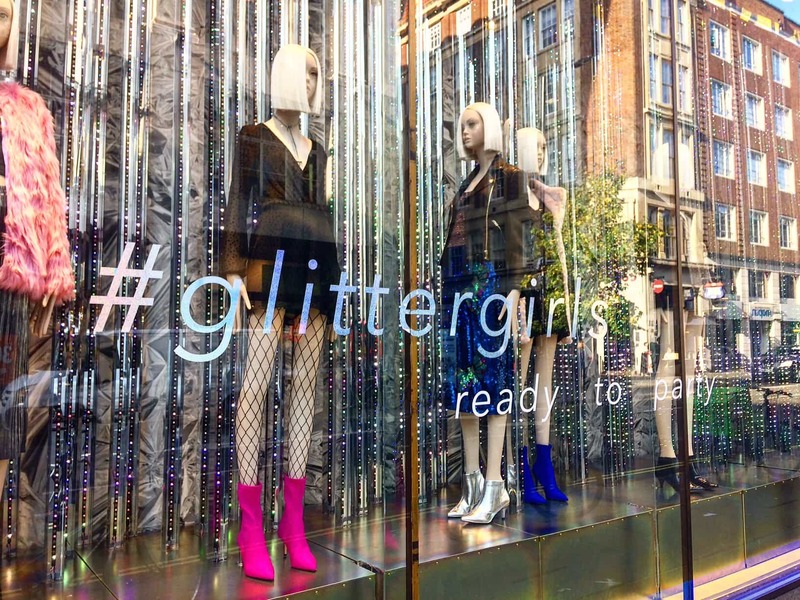 Last week, we took a trip to London to visit a variety of stores; gaining inspiration from window displays, point-of-sale and retail identities. Assessing the market place can be a notable influence when researching latest trends, especially when it comes to creating visuals. With a constantly busy schedule of work and events, we take the opportunity to get on the road as much as we can. 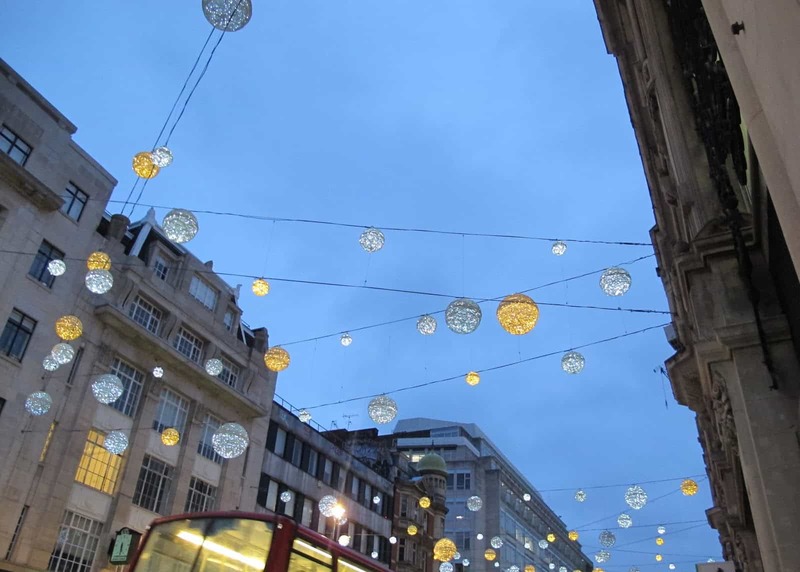 For todays inspiration, we're going to talk Oxford Street and one brand that really called out to us. 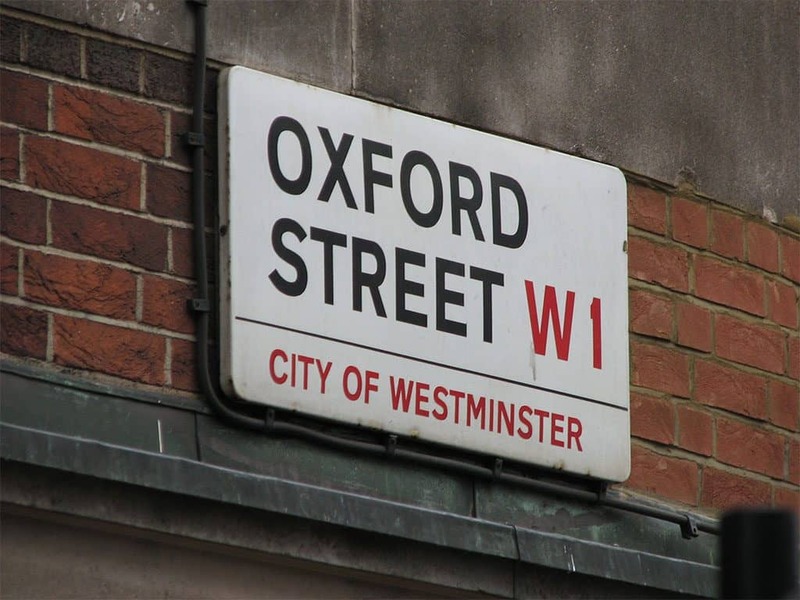 Being the hub of central London, it was no surprise that Oxford street still focuses on the lunchtime or post-work cores: food and fashion. We expected each of these stores to be adorned in various Christmas campaigns, but there was some lacking in the window displays. Perhaps the end of November is when then hanging bauble effects morph into some pretty amazing displays? We'll keep an eye out for you of course. Now, let's talk Miss Selfridge. 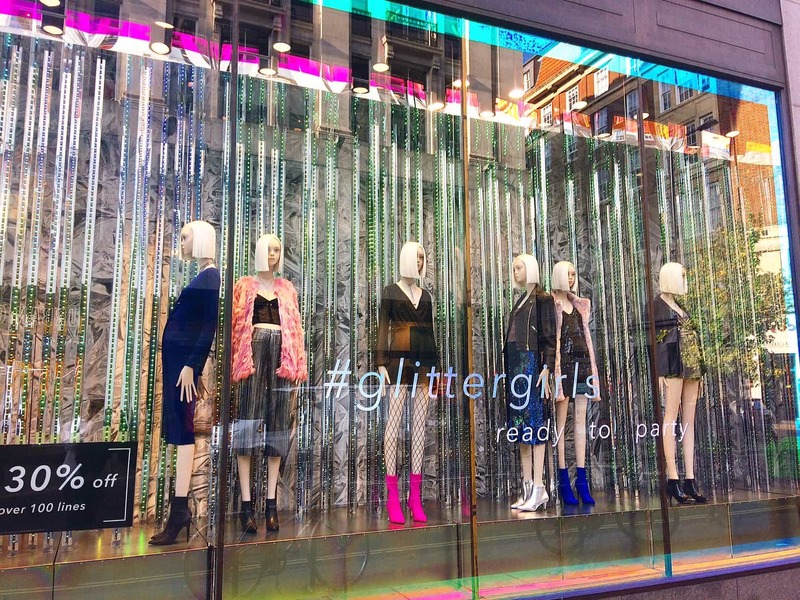 Taking on the excitement of Christmas already, the window display really invokes the 'party' vibes that we're all getting into! It caught our eye, drawing our attention away from other stores and meaning that we had to take pictures. 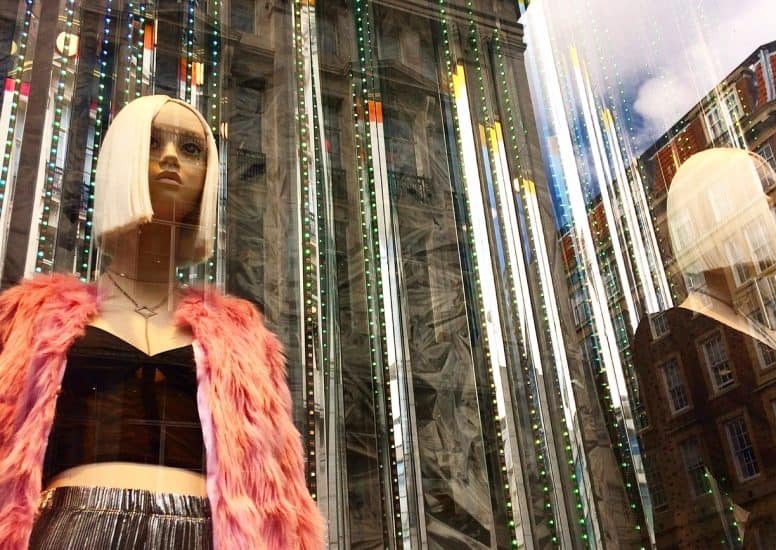 The mannequins were dressed to the current and upcoming autumn winter 2017 trends, totally ready to party - exactly what we want to see pre-Christmas. Placed in-front of the light effects, front facing and side facing, ensuring a break in dynamic; almost reminiscent of a party scene rather than your obvious window display. The store also had additional wall spaces for alternative advertisement and display options. 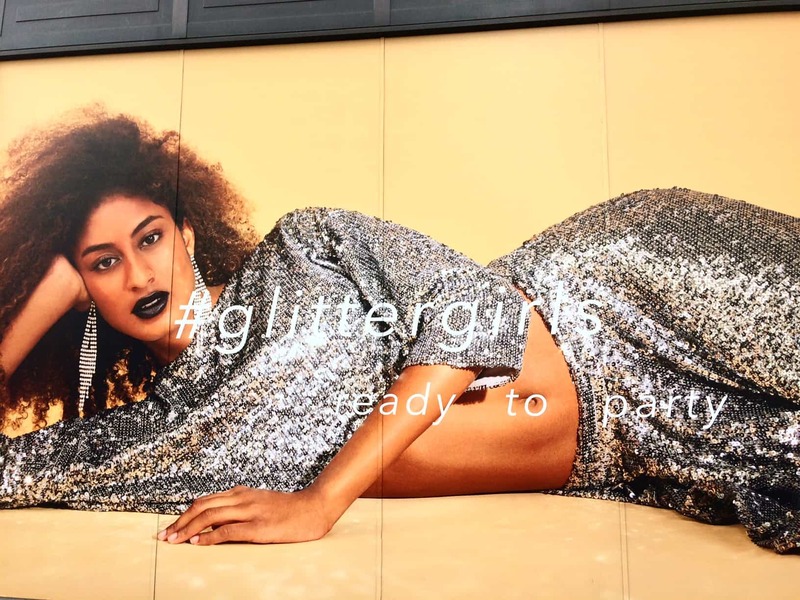 One of the two spaces consisted of a woman laying on her side, promoting a gorgeous two-piece outfit which just screamed Christmas season. (Side bar: the photo is very deceiving, it doesn't quite grasp how huge this photo is!) It's attention seeking and it works. Another wall display, next to the window mannequins, consists of three images collated together in a vertical composition. These images are a different type of contrast to one another due to the saturation and environment in each photo. Silver, rose gold and gold - completely trend driven and we love it! 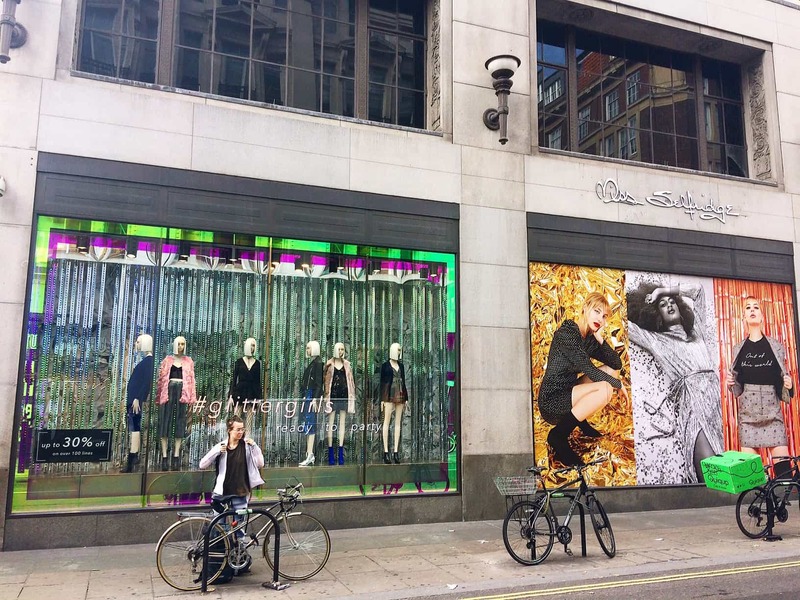 Overall, we were very impressed by the design and concept of Miss Selfridge on Oxford Street, standing out amongst the stores of the capital hub. If we had time to shop, we wouldn't of hesitated to go inside - a great marketing win!